The tomato can is a much more palatable counter-top food compost container (and cute, to boot! ), a molcajete (or a volcanic-rock mortar and pestle, common in Mexico and S. America) for making salsas and other flours, etc., a food scale (okay, I may have bought that one myself, but it still counts! 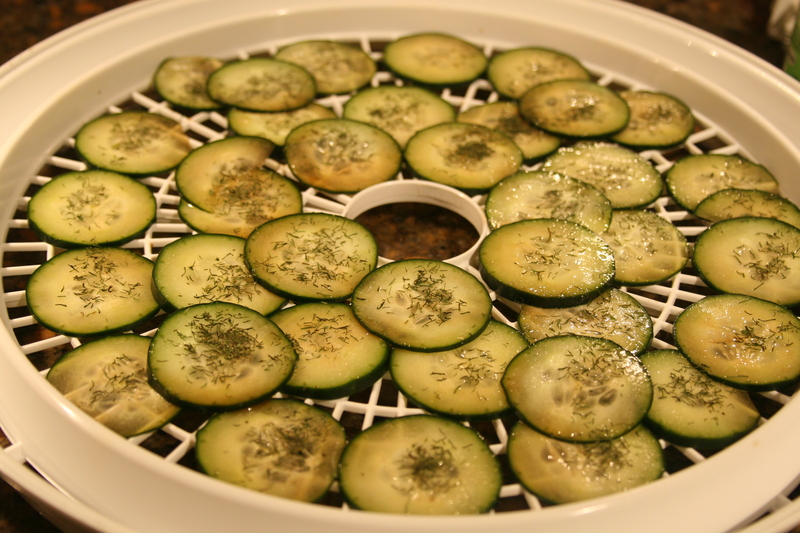 ), and the prize – a dehydrator! A foodie could never have been more in heaven than I was in the days following Christmas. I was like a child flitting from one toy to the next in the days after the holiday, trying to get feel for all of them right away and not knowing what to play with first! That day after Christmas, I was so excited to buy a bag of kale leaves and see what happened. I seasoned them with a little cayenne, salt, pepper, olive oil and vinegar, garlic powder, and for a little added flair: Turmeric. I don’t think I’ll do turmeric again. What a darn, yellow stained mess to clean up. The taste, though, I was more than pleased with the results! My partner and I had polished off all four trays in 12 hours. Finger – licking – good. But I’ve been itching to try it again, and get more creative this time. So, tonight I am utilizing my dehydrator for the second time and have decided to get a little more wild and crazy than the stereotypical “kale chip”. Buying some marked down, overripe bananas, and a couple of cucumbers, I stole home with my treasures and went right to work. Getting my sharpest paring knife, I cut a few bananas (yeah, I know, banana chips aren’t all that original, either!) and laid them down on the racks. For an added personal flair, I sprinkled them with cinnamon, and left a trail of honey across them all (pictured left). Good to go. For the cucumbers, sliced so thin that I was rather proud of myself, I threw them in a bowl and doused them down with a little balsamic vinegar, then sprinkled them with sea salt, and dill (seen above). While this particular dehydrator does not have a temperature gauge, I use a general chart to tell me about how long to leave them in for. I just have to keep checking back around “done time” until I’m satisfied with their chip-like state. Until then, I wait. But wow, does my house smell good right now!